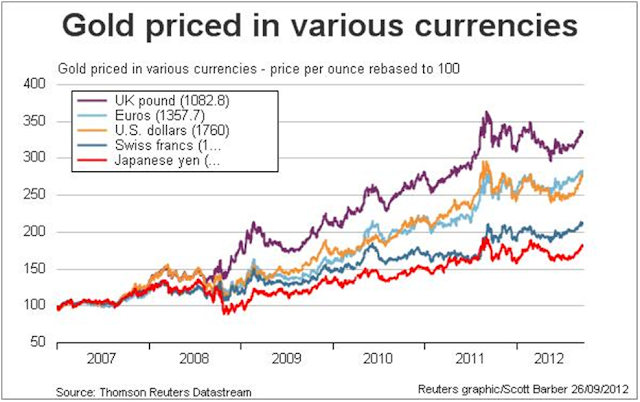 This graph from Reuters shows that gold (price set to 100 in all currencies in the beginning of 2007) rose in all selected currencies from 2007-2012. In UK pounds the gold price rose the most. What might be surprising is that the gold price rose more in Swiss francs than in Japanese yen, in which for the last currency gold grew the least.